The struggle of the Christie team in the 1905 and the 1906 Vanderbilt Cup Races was a kind of metaphor for (John) Walter Christie’s life. Born in River Edge, New Jersey on May 6, 1866, Christie spent his youth working as a machinist and studying mechanics. As a teenager, he worked at the DeLamater Machine Shop in New York where the Civil War ironclad U.S.S. Monitor had been constructed nearly 20 years prior. Ever the enterprising man, Christie set up his own business in 1899, the Christie Iron Works. That company focused on building and refurbishing gun turret tracks. A lathe he developed for this work triggered his imagination and he devised his innovative front wheel drive mechanism for automobiles. Christie worked hard to crack into the automobile business from 1904 through 1910, but never with much success. He formed the Christie Direct Action Motor Car Company in 1905 and spent a tremendous amount of effort promoting his product through racing. He continued this effort through 1910 and it may have proved more a distraction than a business stimulant. Reportedly the business never produced more than nine cars in total during that time. This total included six race cars, a roadster, a touring car and a taxi cab. In addition to racing for the Vanderbilt Cup as described this week, Christie competed in beach races such as the Ormond-Daytona automobile tournaments, hill climbs and horse tracks. 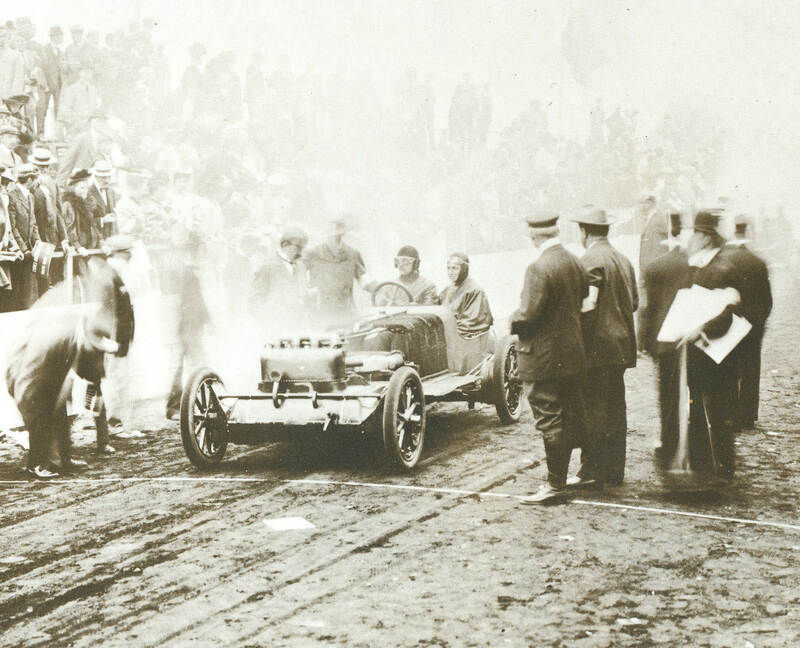 In a disappointing misadventure, he entered the 1907 French Grand Prix and finished 33rd out of 37 cars. Upon his return he was roundly criticized for risking the reputation of the American industry with such dismal results. Christie spent much of 1908 barnstorming the country with Barney Oldfield and a small troupe of “daredevil racers.” These races were derided as fakery with some accusing Oldfield and Christie taking turns winning. Regardless, they attracted crowds and publicity. 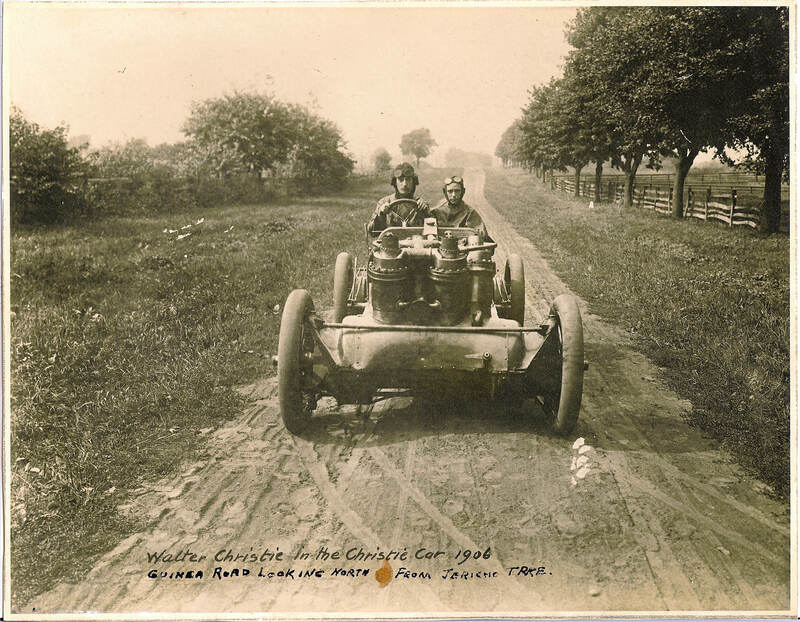 In 1909 he became one of the first drivers to compete on the newly brick paved Indianapolis Motor Speedway in a special time trial December 18. He set an American record for the quarter mile at 8.37 seconds or 107.53 miles per hour. Seven years later, long after Christie stopped racing, the same car made Indianapolis Motor Speedway history again in the hands of Barney Oldfield. In an exhibition run on May 28, 1916, Oldfield became the first man to turn a lap at the Speedway in excess of 100 miles per hour. Oldfield’s time was 1:27.70 for a speed of 102.623 miles per hour – gunning the front wheel drive Christie. Finally giving up on his dream of becoming a captain of the automobile industry, Christie attempted to establish a business developing fire engine tractors to haul water pumps. 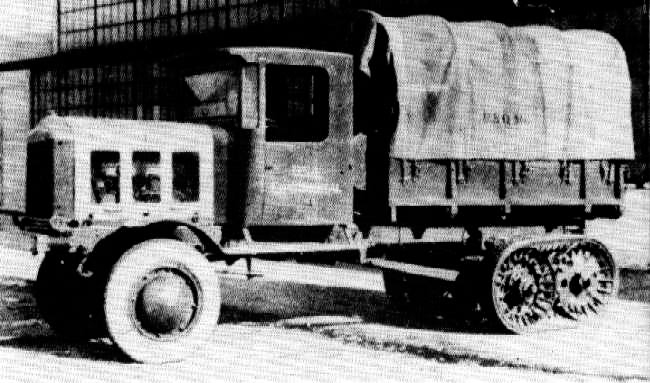 This business was only briefly viable and with the outbreak of World War I he transitioned to military tanks. He was late to market and the bulk of the opportunity ended with the conclusion of the war. Nevertheless, Christie continued this pursuit, producing tanks that achieved then-incredible speeds of 65 miles per hour in 1938. 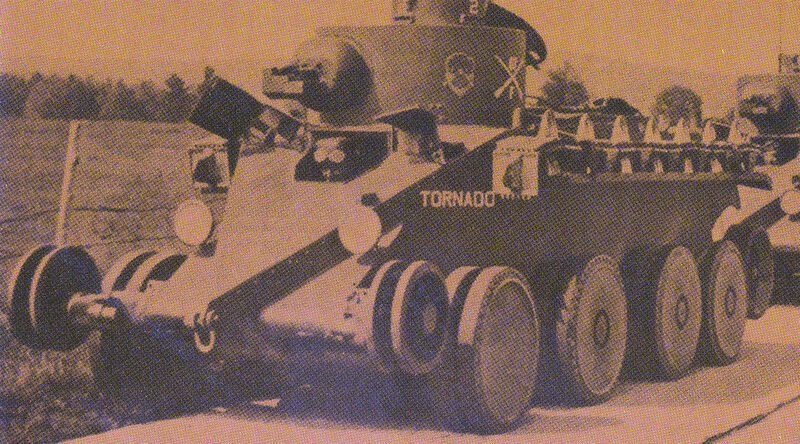 His tanks were never fully embraced by the United States military but Great Britain and Russia bought rights to the designs and manufactured them in significant numbers. John Walter Christie, his dreams unfulfilled, passed away in obscurity on January 11, 1944 at his home in Falls Church, Virginia at the age of 78. Comments, feedback and contributions are very much welcomed. Please leave your comments at the end of this post or send me an email at Howard@Kroplick.com . November 15, 2009 Update: Hugh Nutting has forwarded this photo of his friend's Coleman truck with an added Christie half-track.